Your premier source for proactive, personalized care at home. Regardless of age, each person deserves the very best partner in care, one who has experience and expertise in the interrelatedness of physical, mental, emotional, and social wellness, who collaborates with the individual, his or her loved ones, and other healthcare providers to improve overall quality of life and achieve maximum wellness. The compassionate team of experts at Youthful Aging Home Care partner with older adults and their loved ones to provide highly personalized, proactive care that emphasizes individual wellness and autonomy while ensuring care continuity. Founded in 1996 by a local resident whose professional credentials include registered nurse practitioner, geriatric nurse care manager, and aging brain health expert and educator, Youthful Aging Home Care offers a unique combination of cutting-edge clinical proficiency backed by a team of compassionate and highly trained caregivers who treat each client as a unique individual and honor each person’s need for ongoing independence, choice, confidence in care providers, and wellness at every stage. Nicci Kobritz, RN, has spent her entire nursing career forging new paths as a healthcare pioneer, consistently ahead of the curve in her philosophies about how preventative, proactive care leads to better health outcomes and how lifestyle and wellness intersect. Early in her career, she founded a clinic that the American Academy of Pediatrics later selected as a national model, and also developed a state model for hospital-based child neglect programs in Bangor, Maine. This program was then replicated in one tertiary hospital and two other secondary level hospitals, facilitated with Nicci and her team by the Maine Medical Association. Later, as the primary caregiver for her own parents, she realized that there was a dire need for innovation in care services provided to those in later life stages. This led her to open Youthful Aging Home Care. Her unique range of experience caring for individuals on both ends of the life spectrum has made her into a strong advocate for care that proactively enhances a person’s overall wellness instead of simply assisting with what many providers see simply as “normal decline” related to aging or illness. 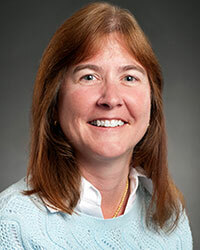 Her pioneering philosophy is the driving force behind Youthful Aging’s care team, which includes a geriatric nurse care manager, licensed nurses, certified professional in-home caregivers, a registered dietitian, as well as a licensed physical therapist. 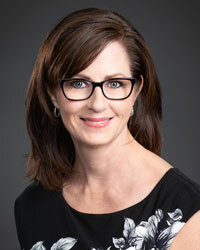 Nicci also serves as the CEO of the Center for Brain Health (CBH) in Sarasota, a neurology practice dedicated exclusively to preserving brain health and slowing cognitive decline. Her role with CBH allows her to train her team of certified caregiving professionals in how to best serve, assist, and advocate for those who are experiencing cognitive challenges. 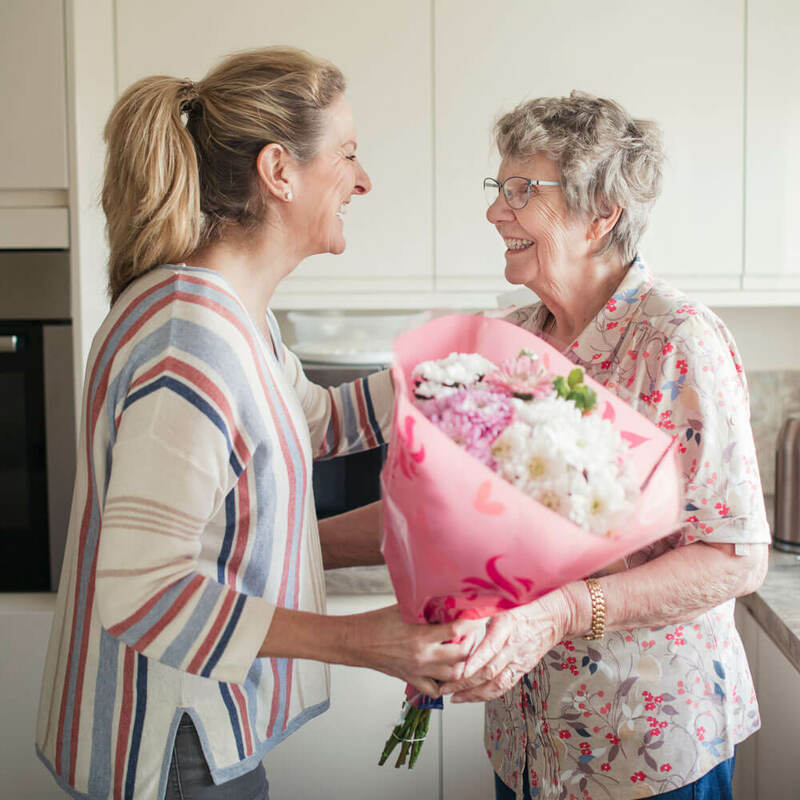 Our mission is to enable our clients to live the best lives they can live for as long as possible with our proactive and positive approach to care planning and management. At Youthful Aging Home Care, we see an opportunity to improve the aging experience with proactive, personalized, and life-enhancing services and solutions that address all of an individual’s wellness needs. Nicci founded Youthful Aging Home Care to bring a higher level of clinical expertise to in-home care services for seniors. As a professional nurse practitioner, she has spent the bulk of her career developing home-based care services for older adults. Nicci holds a bachelor’s degree in health care administration from St. Joseph’s College in Maine, a nursing degree from SUNY Upstate Medical University at Syracuse, and nurse practitioner certification from the University of Maine. 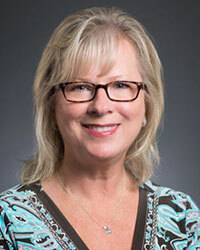 She is a past chair of the health care industry unit of the United Way of Sarasota County, a regular contributor to the industry journal Home Health Care Management & Practice, and a member of the National Academy of Certified Care Managers. Elaine oversees office operations for Youthful Aging Home Care, ensuring the agency runs efficiently and smoothly for the benefit of clients, family members, and our dedicated caregiving team. She is known and appreciated by clients, families, and caregivers alike for her exceptional communication skills. 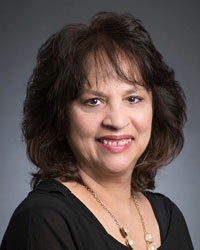 Elaine has managed home health care practices for more than 30 years, 20 of those working for Youthful Aging Home Care. She attended the Westchester School of Paraprofessional Training and Suffolk County Community College in Long Island, New York. Dee provides administrative support to Youthful Aging Home Care including marketing coordination and social media management. She also handles operations for the Center for Brain Health. Her diversified skills, combined with her steadfast dedication to the best client care, help maintain a well-managed practice. She holds a bachelor’s degree in applied communication from the University of South Florida, and an associate’s degree in communications from Manatee Community College. Sharon is dedicated to ensuring the smooth and efficient operation of our accounting functions with her high level of attention to detail, excellent communication, organizational, and problem-solving skills, and strong work ethic. She holds an associate’s degree in accounting from Cleveland Community College, and has also studied at East Coast Bible College. Chris interacts with new callers seeking assistance with care needs and assists in onboarding new members of the Youthful Aging Home Care team. She also manages staff certification renewals, making sure state licensure requirements are met. 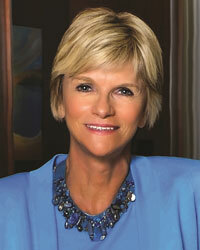 She attended Bradford Business School, Butler Community College, and the Community College of Allegheny County. Youthful Aging Home Care is proud to operate the Wellness Center at the Kobernick Resort-Style Independent Living building on the Aviva campus in magnificent downtown Sarasota. Our Youthful Aging Home Care registered nurse navigators assist Kobernick Independent Living residents with maximizing their overall wellness, achieving optimal quality of life, and proactively coordinating a range of innovative health care and wellness services. To learn more about Aviva, call 941-377-0781. Youthful Aging Home Care works closely with The Center for Brain Health (CBH), a neurology practice in Sarasota, FL, dedicated exclusively to detecting cognitive health issues, preserving current cognitive status, preventing cognitive decline, and providing strategies to older adults and their loved ones for managing cognitive health challenges. CBH provides Youthful Aging Home Care with specific direction in caring for CBH clients with cognitive health issues that require in-home care intervention. For more information about CBH services, call 941-556-9900. Youthful Aging Home Care is proud to partner with Fitness Quest Physical Therapy, the leading Southwest Florida provider of outpatient rehabilitation services. Fitness Quest is committed to utilizing advanced clinical competency in a one-on-one setting, emphasizing communication and education to the patient and physician to ensure maximum patient outcome and satisfaction. For more information, email info@fitnessquestpt.com. Youthful Aging Home Care is also an active member of the Home Care Association of Florida (HCAF), the premiere trade association for the home care industry in Florida. Founded in 1989, HCAF exists to provide representation, communication, and advocacy for these providers, and to give them the information they need to deliver high quality, cost-effective services to patients and clients in their home. Youthful Aging Home Care has staff certified by the National Academy of Certified Care Managers (NAACM), a nonprofit organization providing the premier certification that assures care managers are qualified to perform the full range of care management tasks through a validated, standardized examination. Certified care managers must meet rigorous education, experience and supervision requirements and participate in continuing education and professional development. Youthful Aging Home Care is a proud member of the National Association for Home Care & Hospice (NAHC), a nonprofit organization that represents the nation’s 33,000 home care and hospice organizations. NAHC also advocates for the more than two million nurses, therapists, aides and other caregivers employed by such organizations to provide in-home services to some 12 million Americans each year who are inform, chronically ill, and disabled. NAHC provides information to help its members maintain the highest quality of care and is committed to excellence in every respect. Youthful Aging Home Care, in collaboration with Fitness Quest Physical Therapy, manages the Longboat Key Center for Healthy Living, a medical clinic with physician services and multiple other wellness offerings for older adults, that is located at the Paradise Center for Healthy Living. To learn more or make an appointment, call 941-383-6493. Youthful Aging Home Care is honored to collaborate with and sponsor The Paradise Center in Longboat Key, a not-for-profit organization and resource center dedicated to helping older adults in the local community live life to the fullest. Youthful Aging Home Care, in conjunction with the Center for Brain Health, offers complimentary, 30-minute, one-on-one cognitive health screenings on the first Tuesday of each month at the Paradise Center. To register, call 941-383-6493.